At one point in my life I gave serious thought to a 12 step program, but couldn’t find one for snare drum and cymbal addictions. I eventually got over it on my own. I’m down to 3 usable snares now. I have an old Slingerland snare, don’t know the model. I bought it at a yard sale along with some other gear for $30 about 30 years ago. It’s been refinished, new bearing edges cut, new strainer, 40 strand snares, and die cast rims. It’s a monster of a drum, cuts through anything. I also have an early 70’s Ludwig Supraphonic. The shell is pitted, but it sounds great. It’s probably my favorite for recording. My mainstay is a Pearl 6.5 x 14 free floating snare with maple shell. It’s a really versatile drum. It’s the snare I use most for our praise band. Wow Carl, it’s funny how similar tastes in sounds come and go. I have 15-20 snares also and I have three similar drums I use 80% of the time. A 6.5″ Maple DW, a 13″ DW Birch Piccolo, and the old standby Ludwig Acrolite ( almost always the 5″ but more and more I have been using a 6.5″). Today the majority of drummers in the studio use a either the same or similar snares also. Also, you are so right about knowing your drum and what different heads, rims, etc. do to the sound. I learned about this when I was much younger (and playing much harder). I broke 2 pressed rims within a short period of time on my favorite snare so I decided to put on a cast rim knowing it would be very hard to break. It went from my favorite to a drum I couldn’t stand to hit no matter what else I did to it. I think we gave that rim a burial at sea! Keep up the good stuff & have a blessed day. Thanks for sharing this Carl. I’m learning and I’ve taken notes of your list. I just ordered a wooden snare (Tama SLP Vintage poplar maple) for gentle playing. It’ll be my first snare. Clearly looking at getting a brass snare and a brass piccolo snare in the future based on your recommendation. 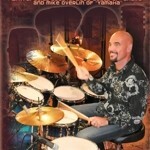 The Tama Starphonic has great reviews all over the internet. Could you explain more about #5 and #6? Is the 12×6 for a brighter sound? As a secondary snare? 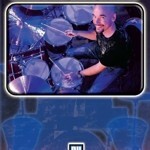 About the #6 what would be the difference with your main snare? I actually used a Ludwig Black Beauty 14 X 6 for the Paul Baloche LIVE – “Offering” project. Peavey 1000 solid maple drums for the 22″ kick; 12″ rack tom; 16″ floor tom; and 13″X 4″ Peavey maple piccolo snare to the left of the hat. Peace all, C.